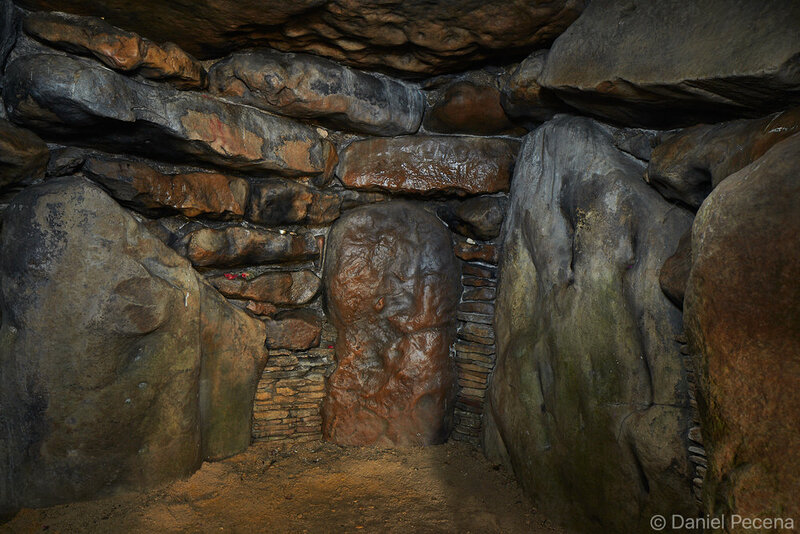 It was still dark night when I was approaching on foot to one of the most famous prehistoric monument in the world. Traffic consisting mainly of lorries on the road A303 which passes in close proximity to the site was already relentless. Ahead I could make up silhouette of stone circle and behind it a new day was gradually coming up in the eastern sky. When I reached the fenced monument I contemplated on morning mist hovering in the fields below. 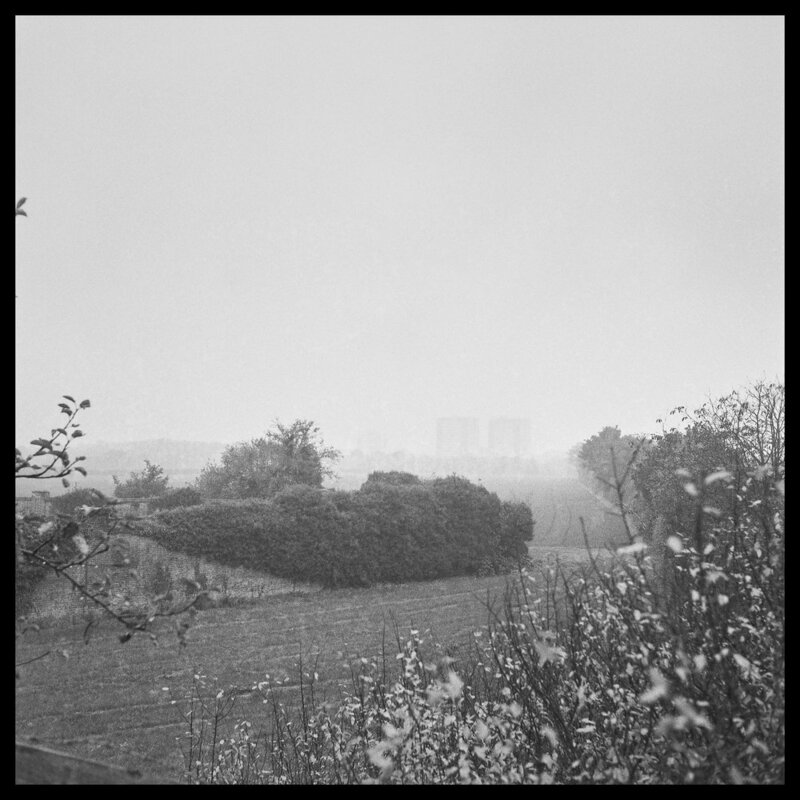 The mist was resembling translucent blanket slowly changing form and position to a point of disappearing completely and revealing scenery in greater detail. I was not alone here. In my view lonely and freezing security guard was moving in circles around the monument. At least in my mind, walking in his boots in these times of day, I could imagine that the surrounding landscape must present him with different moods and lighting conditions every single day. When first rays of rising sun touched Stonehenge, a large group of people suddenly appeared and quickly dispersed on the site. They came to enjoy rare one hour experience of being here; an experience enabled by English Heritage (the charitable organization responsible for looking after this monument and other sites in England). 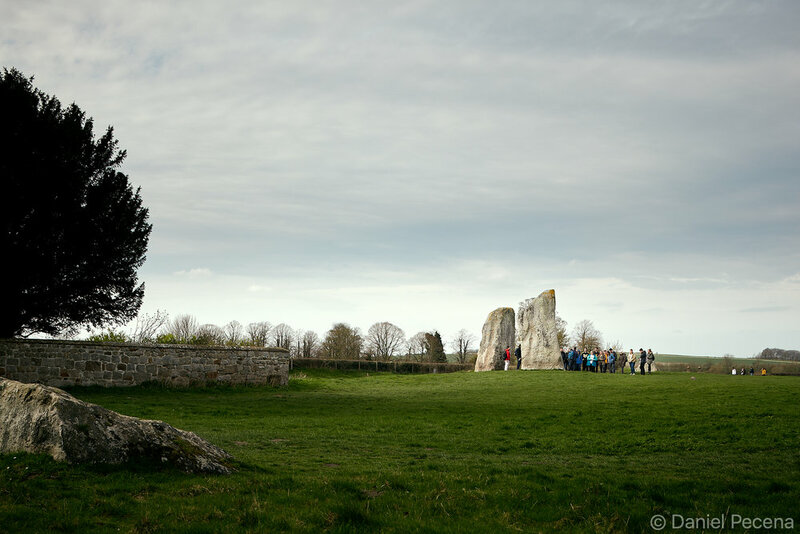 A special ticket which they had to purchase, double the normal price set to view the monument, entitled them to wander around and within the stone circle that is usually out of bounds to ordinary visitors who are only permitted to a designated pathway well off the stone structure. Time was up for these visitants. Bathing in sunshine the group went back to the minibuses they boarded at nearby Visitor centre that largely facilitates access to Stonehenge. But there is so much more to explore around here as this landscape is saturated by various other sites concealed within it and connected to different eras of human habitation in this area. 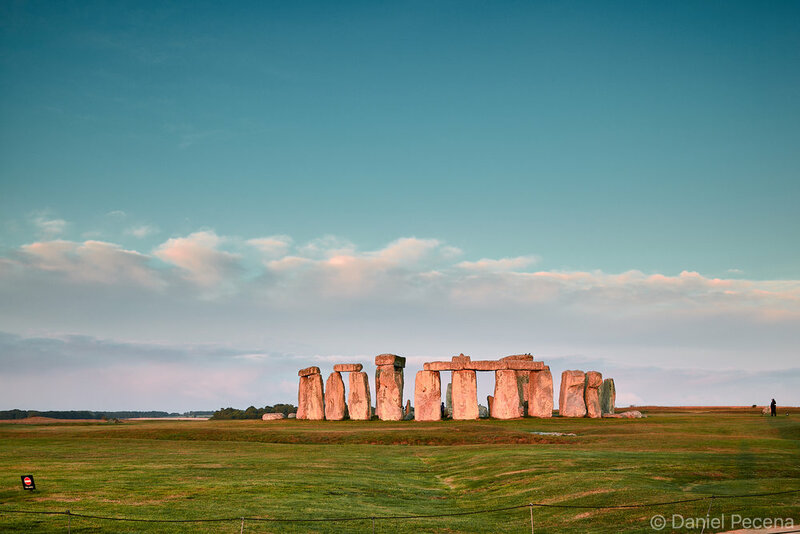 Stonehenge is however, at the very top of hierarchy among British prehistoric sites mainly for its would-be completeness, monumentality and variety of unearthed stories attached to this site which began as an earthwork enclosure on Salisbury plain about 3000 BCE. 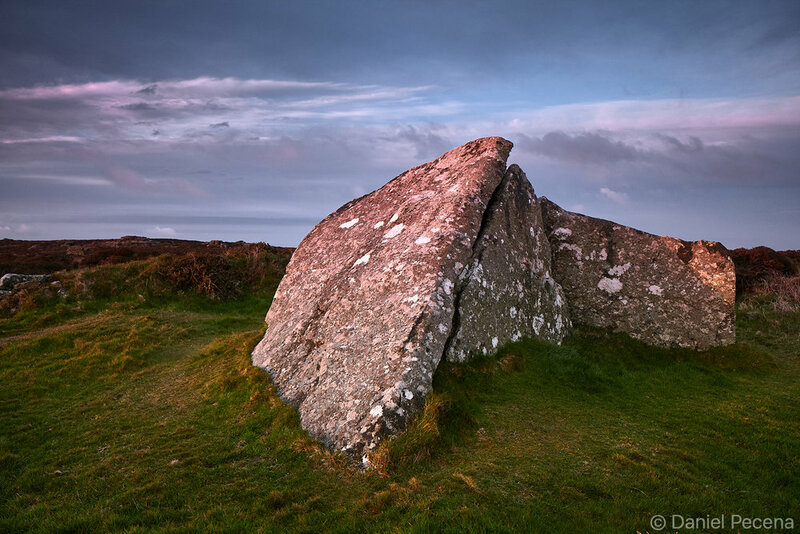 There are many more prehistoric sites spread around the whole British Isles. 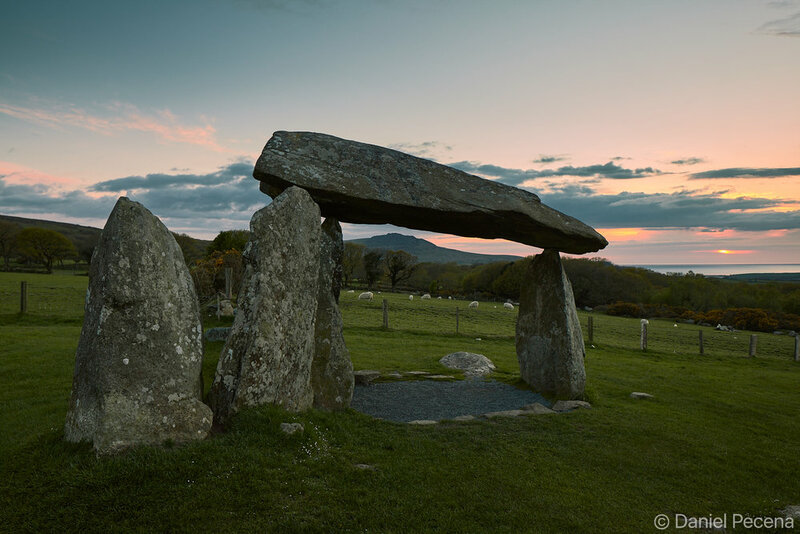 In fact the countryside is dotted by standing stones, tombs, stone circles, dolmens, barrows, mounds or forts. These are highly interesting to archaeologists or historians whose perspectives and interpretations get updated with each and every discovery including scientific and technological advances and their subsequent application for new research that as a result enable us to better understand our history and to an extent our future as well. 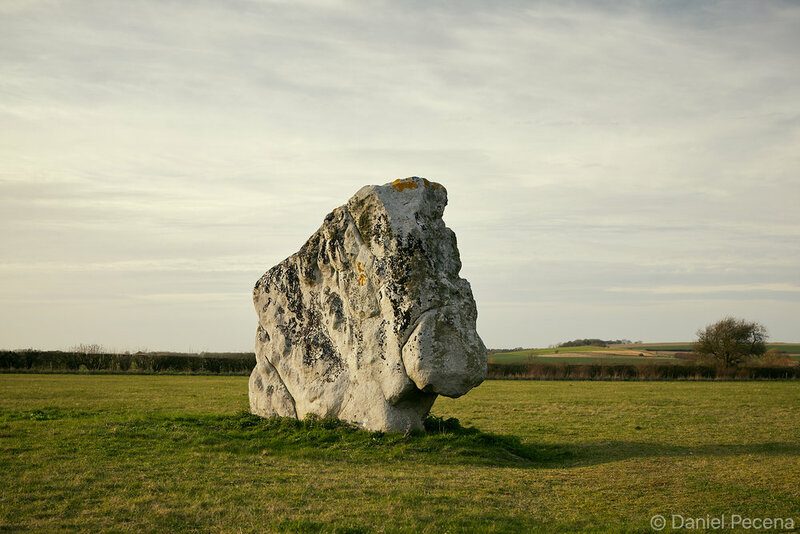 Many people however, visit these sites for various other purposes including reenacting ancient rites, noting of solstices and equinoxes, keeping up with their roots and identities or simple curiosity. 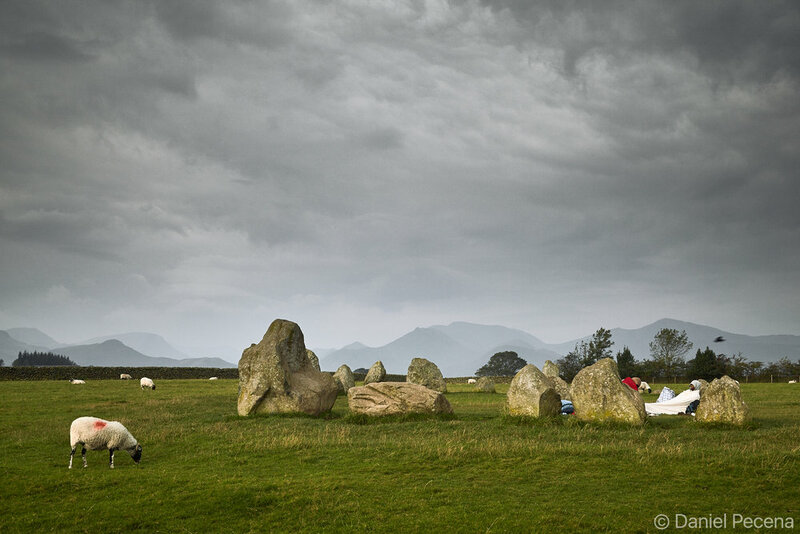 I myself slept within a stone circle near megalithic tomb in Ireland and in the second half of night got soaked up by rain for daring so. 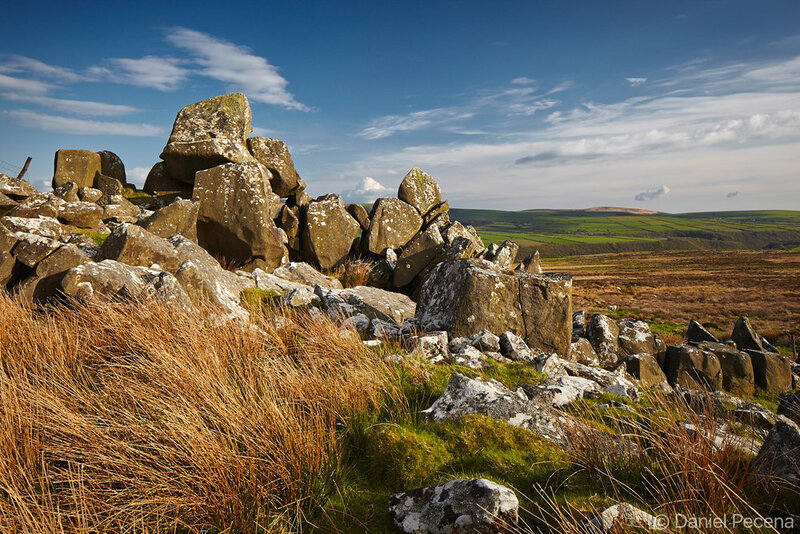 In Pembrokeshire in Wales, I walked in the Preseli hills, an area designated by geologist Herbert Henry Thomas in 1923 as a source of bluestones (dolerite) which are placed in the inner circle of Stonehenge. And I am certainly not alone in seeking unique experiences in prehistoric landscapes. 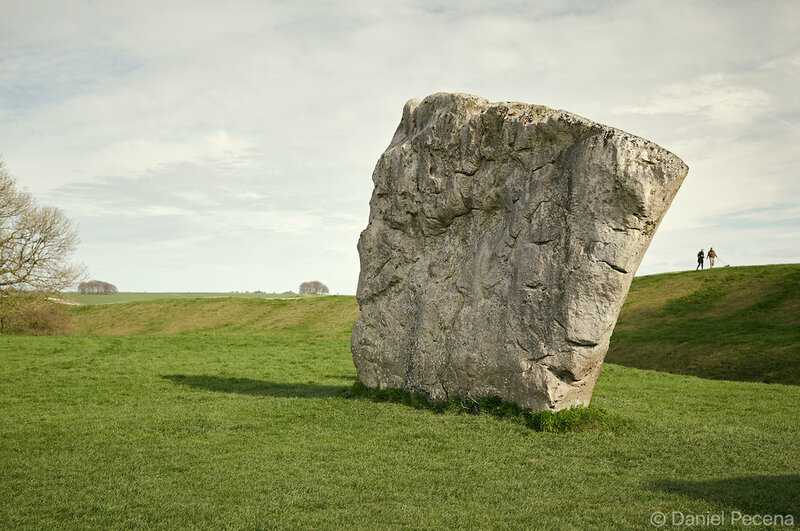 Recently in Avebury, its rather large stone circle drawn in many people during first spring day full of sunshine. However, all of our wanderings and appreciations of spirit of the place are possible only for generations of custodians taking care of these landscapes and monuments throughout the ages - be it farmers, clergy and other enlightened people or institutions of present-day. Traveling to different sites on British isles has enabled me to view in context significant era of human development and acknowledge extraordinary effort of our predecessors who, perhaps unintentionally, left behind a legacy in stonework which as raw rock was created by geological processes even deeper in time. 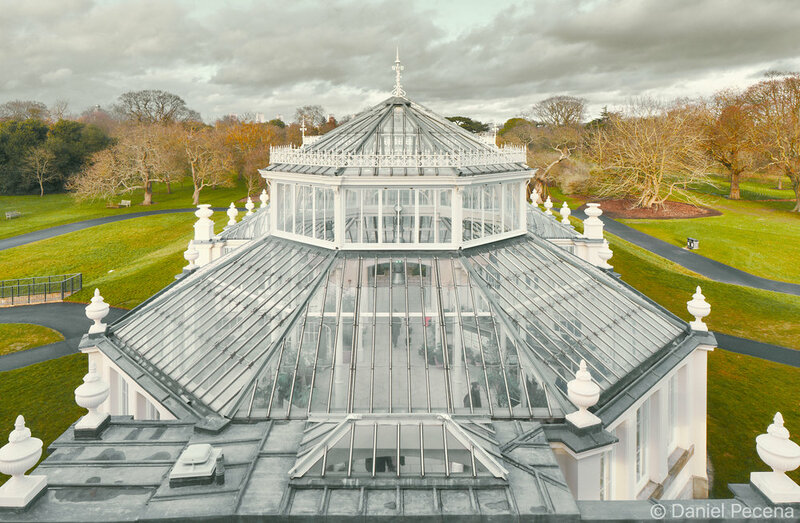 Last year in May, the largest Victorian glasshouse in the world opened its doors to public once again. 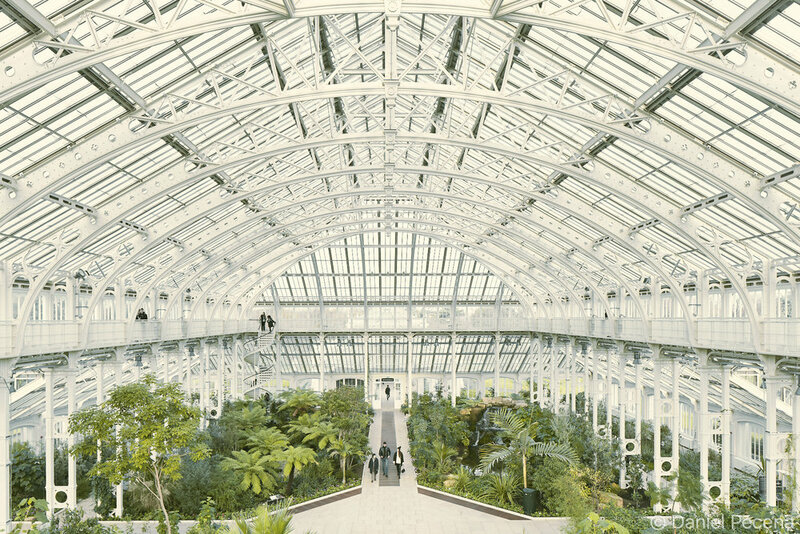 Grade I. listed Temperate house in London‘s Kew Gardens undertook long renovation work by architects Donald Insall Associates. The result is a huge success not only in showcasing the engineering prowess of the past and present but essentially in re-opening this space for conserving the collection of rare temperate plants – the main objective of this project. Kew Gardens was established by princess Augusta of Saxe-Gotha who commissioned head gardener John Dillman to enlarge botanical garden planned by her deceased husband Frederick, Prince of Wales. The gardens opened in 1759 and one of the oldest plant here is tall tree ginkgo biloba planted in 1762, the year in which the first sandwich was served in London. 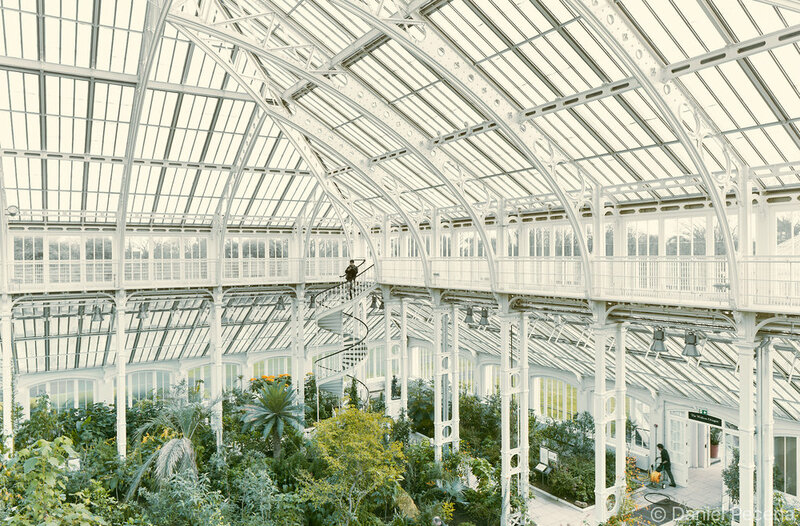 Temperate house was designed by Decimus Burton (1800 – 1881) in 1859. 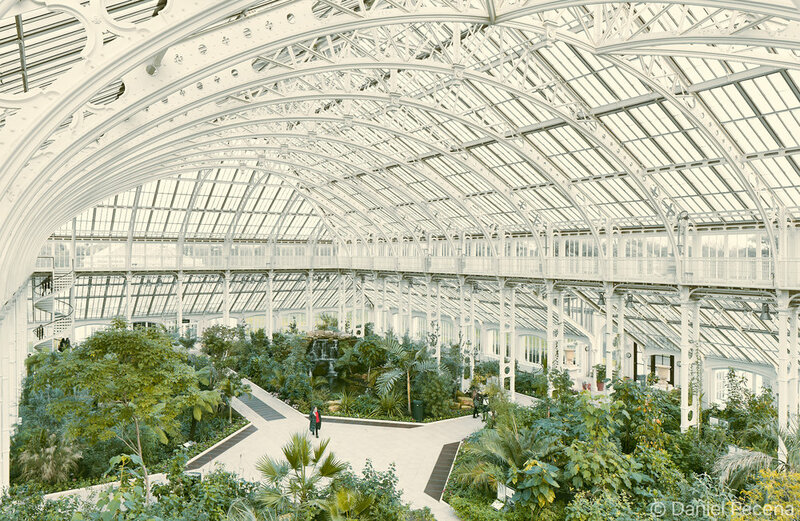 This glasshouse was then opened in 1863 but the construction continued for the next 36 years. After the turn of millennium the glasshouse was so run down that it was no longer safe for public to enjoy the beauty of diverse plants and flowers inside. With help of funding from National Lottery, private and commercial donors it was possible to start restoration project that took five years to accomplish with the total amount spent close to £42 million. Most of the plants were removed during painstaking restoration however, nine trees remained in situ as they were too horticulturally significant to risk moving them elsewhere. The embellishments decorating the glasshouse such as statues and urns were recast to the original Burton‘s design. Burton‘s sense for architectural detail is highlighted in terracotta urns placed in each corner of the central building. These urns are in fact concealed chimneys. Their function was releasing the steam from the old heating system. This spectacular building comprising five pavilions (with its 4880 meters square) houses about 10 000 plants in diverse habitats like for example China, Himalaya‘s, Africa, Australia or Americas. One of the most interesting plants here is Encephalartos woodii, named after John Medley Wood, curator of Durban Botanic Garden who discovered it in 1895. This palm tree like cycad, brought to Kew in 1899, has also been called the loneliest plant in the world because there are only male specimens left – the female Encephalartos woodii has never been discovered. It will also be interesting to observe the new growth of plants in Temperate house. There are currently unobstructed views from the upper walkway and it will take some time before most plants reach maturity and therefore it is possible to appreciate the expansive view of space inside of this architectural gem. 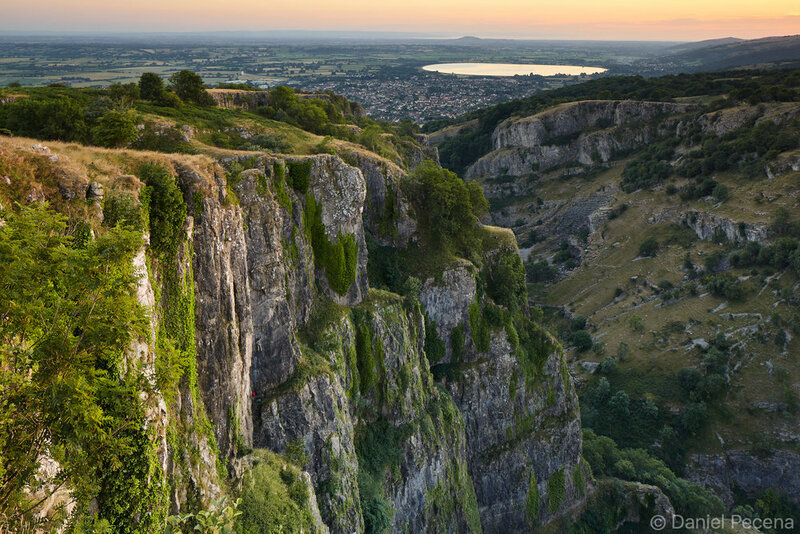 Watlowes dry valley was formed by meltwater running underneath a glacier for a considerable period of time during last Ice age. 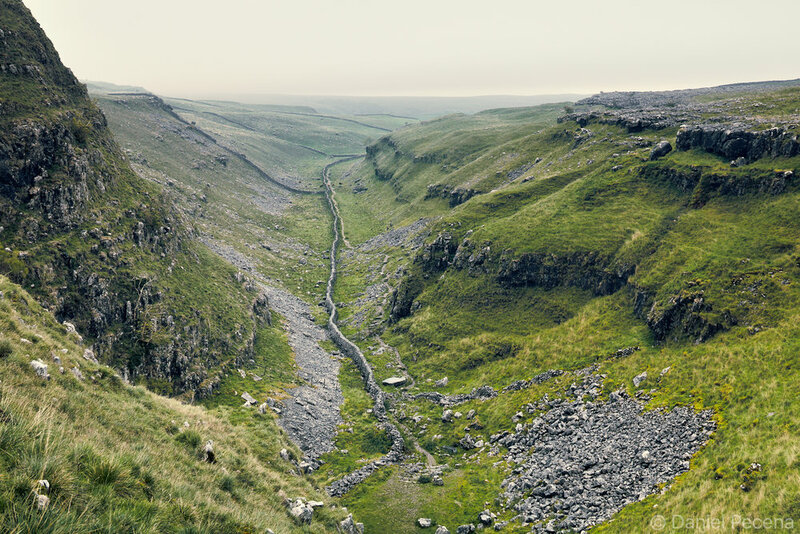 The dry stone wall which extends in the valley is thought to be the oldest standing wall in the area of Malhamdale. It dates to medieval times when the wall functioned as an ancient boundary between eastern lands of Bolton Priory and western lands of Fountain Abbey. 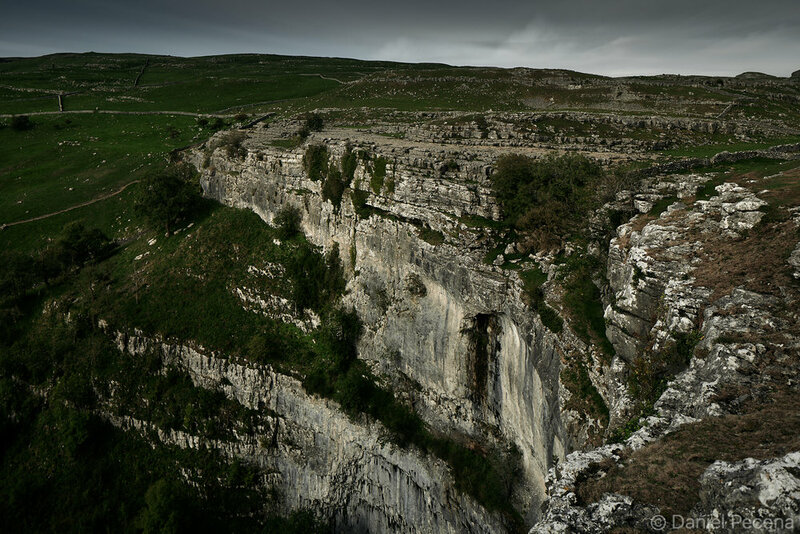 It was in Carboniferous period, about 300 million years ago, that this area of Yorkshire Dales was a shallow tropical sea. 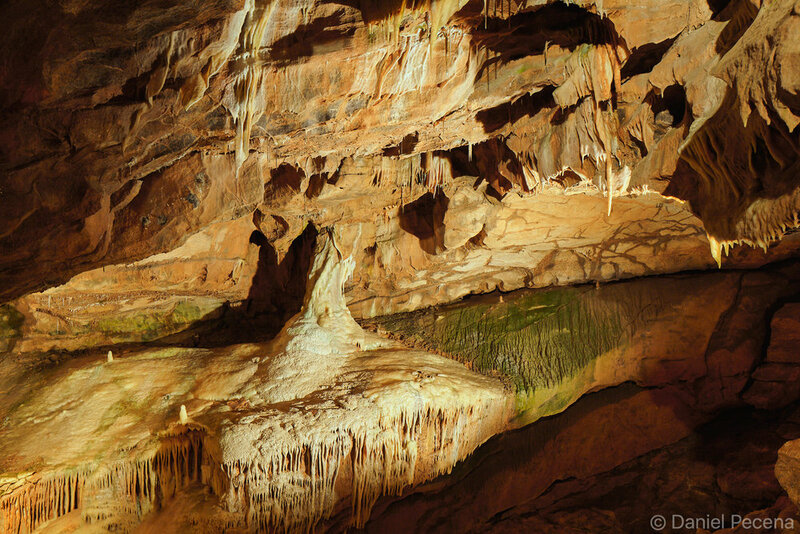 Over a time of about 50 million years a series of limestone beds accumulated at the bottom of this sea. The bedrock got composed from shells of marine organisms and chemical precipitates. 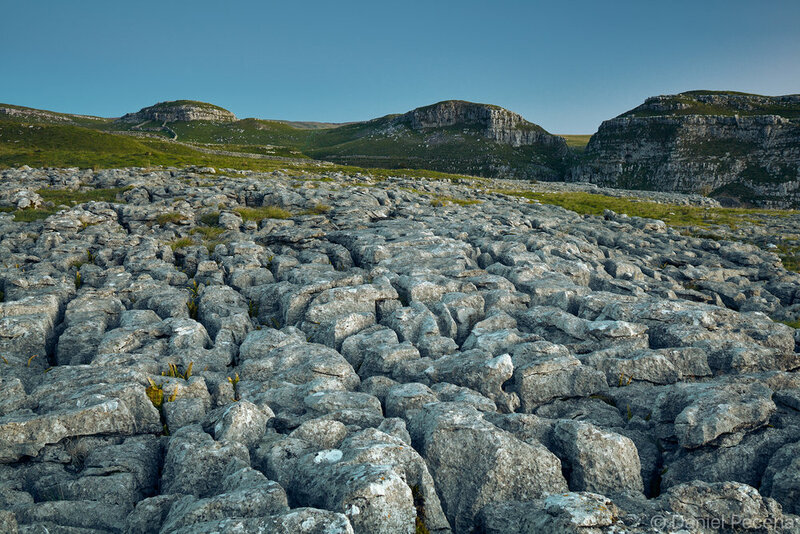 Once at the bottom of the sea this limestone formation, now eroded due to slightly acidic rainfall, is to be found at the top, capping the landscape around Malham. Malham village was founded sometimes in the 8th century. People here grew barley and oats until recently but today the land is dotted by sheep and cattle roaming among the extensive length of dry stone walls. According to survey done in the end of 20th century it is estimated that there are over 5000 miles (8 000 km) of dry stone walls in Yorkshire Dales alone. These walls are dominant feature here and the first field systems may have been built during the Iron Age (about 500 BCE) with the purpose to make livestock safer against wolf’s attacks. 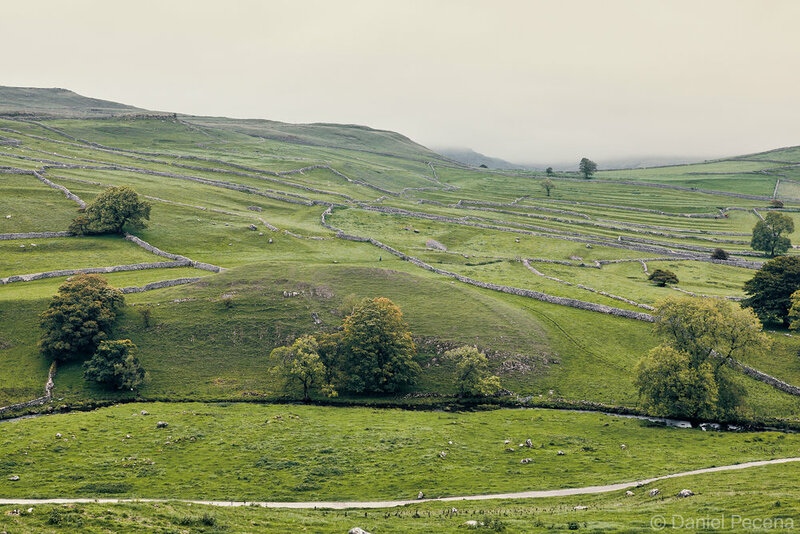 Most of the walls around Malhamdale however, were built or rebuilt in the Enclosure period (1780-1840) when government act gradually helped to turn communally owned land into private property. 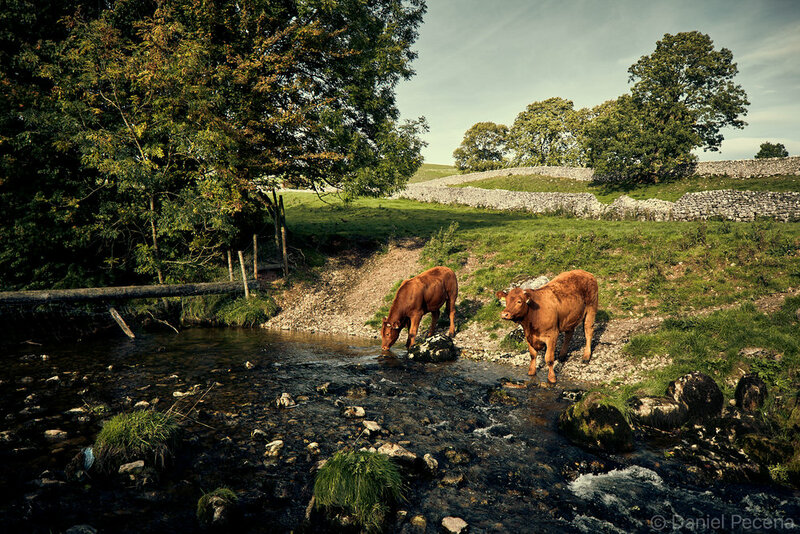 Individual landowners abandoned farming in favour of raising sheep and cattle. Dry stone walling is done without use of mortar and as such is a disappearing skill on British Isles. Today, this unique trade supports only about 40 qualified dry stone wallers in the whole of United Kingdom. Some time ago I was given old Czechoslovak camera called Flexaret IV. Apparently it wasn’t in use for long time, hidden in loft of a household gathering the dust. It is a medium format camera very popular during 50’s and 60’s. In those times it was preferable choice for amateur photographers beyond eastern Europe and indeed very popular with Czechoslovak families. This camera utilizes square format (approximately 6X6 cm) and uses 120 film which was initially introduced by Kodak for their Brownie No.2 camera in 1901. It looked in good repair and after I cleaned it I realized that this camera was in really good condition. I ran through it Ilford film in order to find out whether it was worth keeping for the actual use or to be kept as a decoration or perhaps even a collectable item. The resulting images pleasantly surprised me. 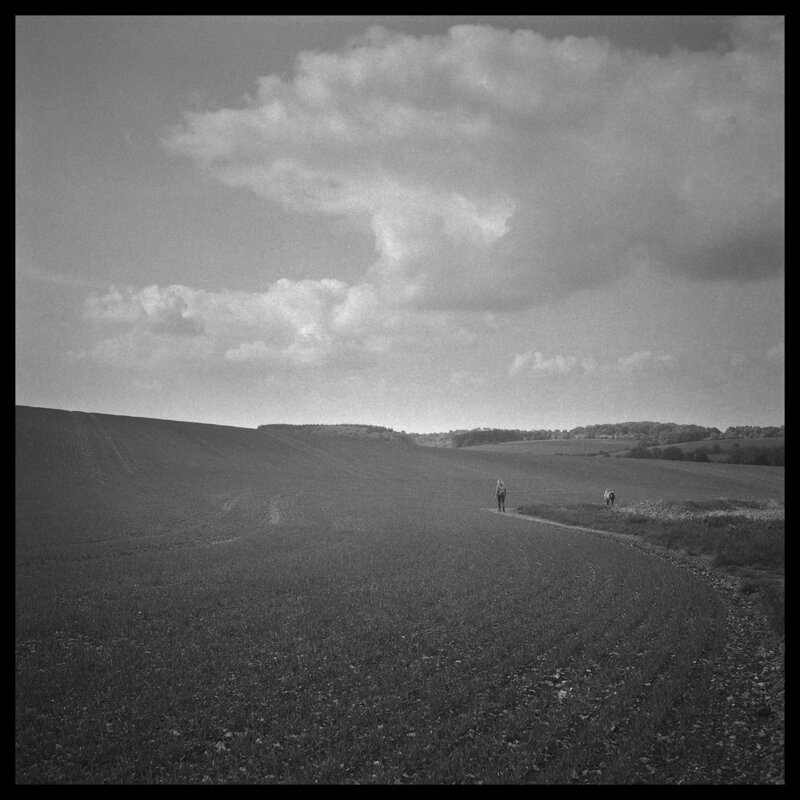 I started to take the ‘box’ with me on walks with my friends in English countryside as I wanted to have images with different feel as pictures taken by today's camera phones are just too ubiquitous. Another, more tangible reason for its use on my walks is that I do not want to carry the weight of my main camera kit on my back. It is all manual camera made in 1957 and its design, function and durability makes it still possible to take photographs after 60 years since it was made by Meopta company in Přerov. 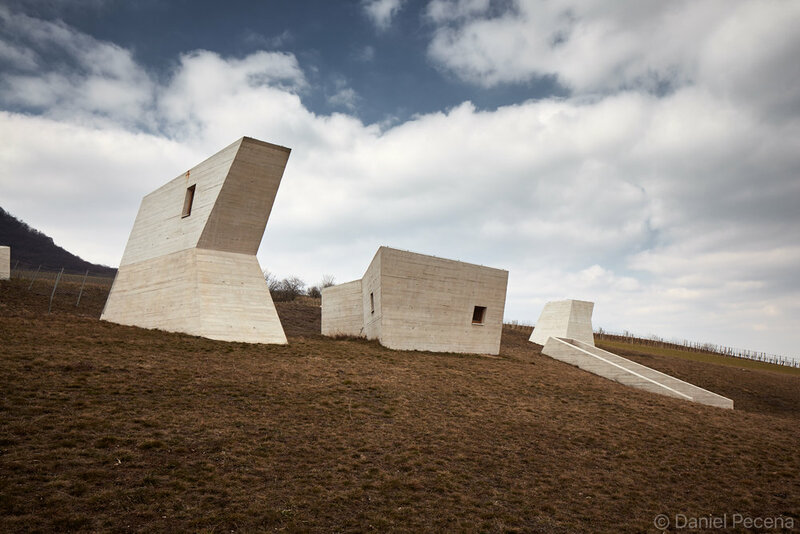 The landscape of Pálava hills is rich in archaeological finds dating to 30 000 BCE. 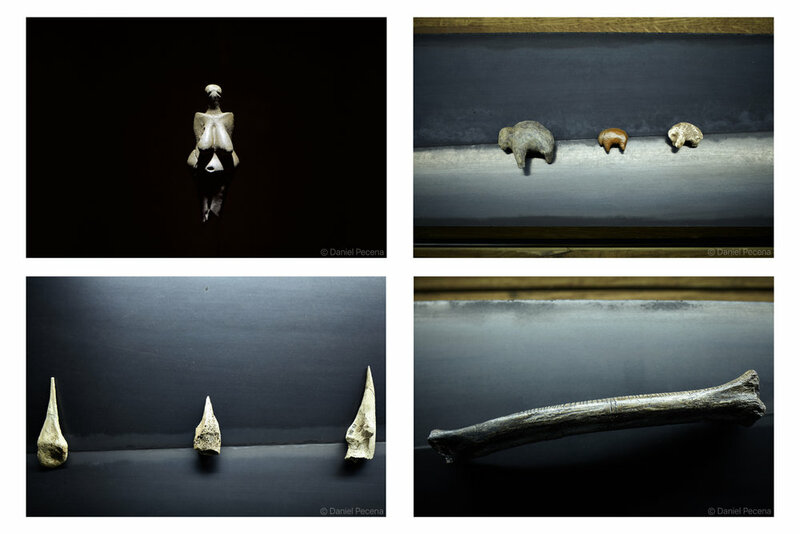 During extensive excavations in region of South Moravia archaeologists unearthed number of Paleolithic settlements as well as great amount of stone and bone tools, artworks, skeletal remains of old stone age humans and animals including mammoths. Initial idea for a museum was conceived in 2003 and it took further 13 years to design and build this subterranean exhibition space. 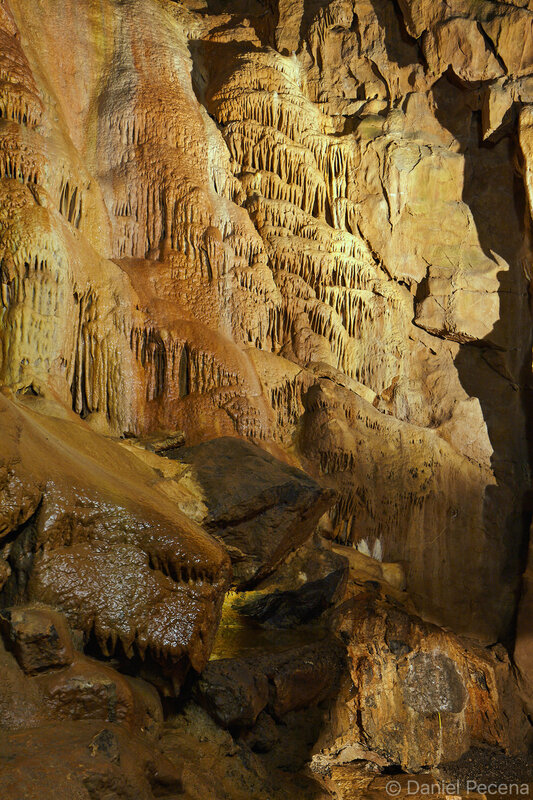 The concept of underground structure was considered due to number of reasons. The Institute of Archaeology CAS (museum’s commissioning body) wanted to display certain finds in their original context post-excavation. 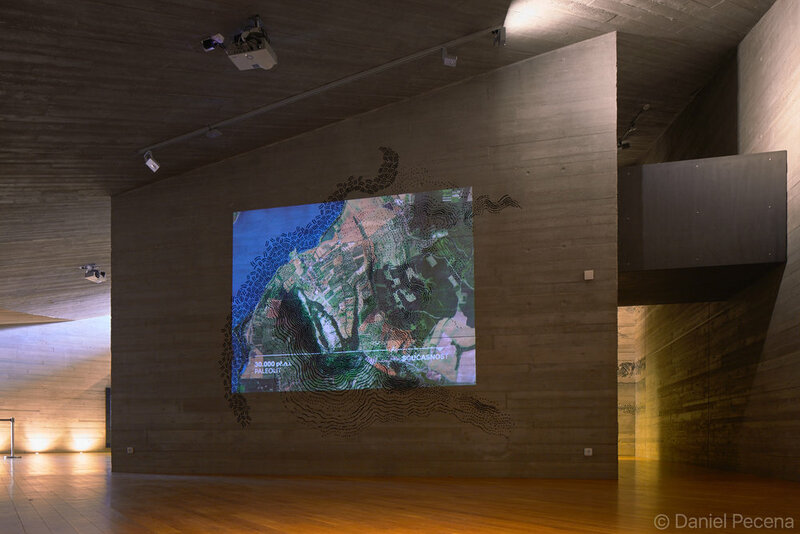 And another reason was that the location chosen for the museum was within protected landscape area. The museum was designed by architectural studio Radko Kvet and the exhibition combines traditional display with the latest AV technology. 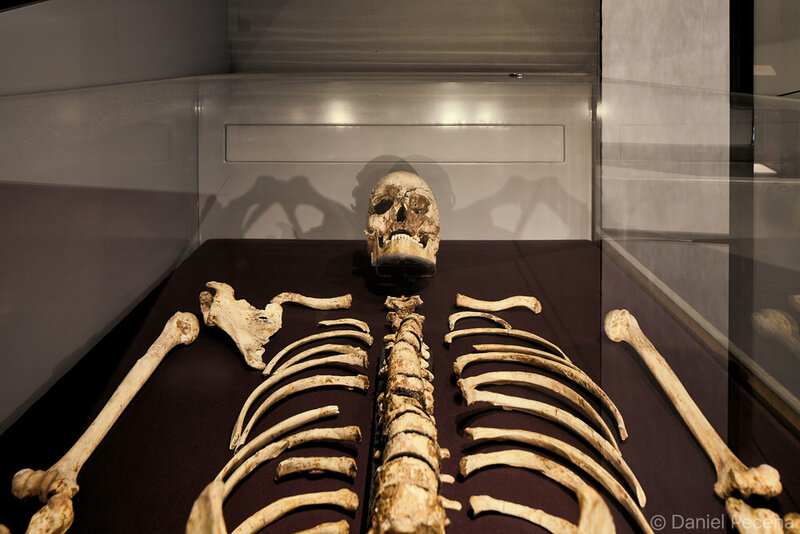 The exhibits on show include copy of the most famous find called Venus of Dolní Věstonice (the priceless original is housed in Moravské zemské muzeum in Brno). This small ceramic statuette of a woman was found in nearby village of Dolní Věstonice and has recently been dated to circa 29 000 years BCE. Unlike similar figurines made from mammoth’s ivory found in France, Italy or Russia this one is made from fired clay and therefore significant in broad cultural and technological sense. 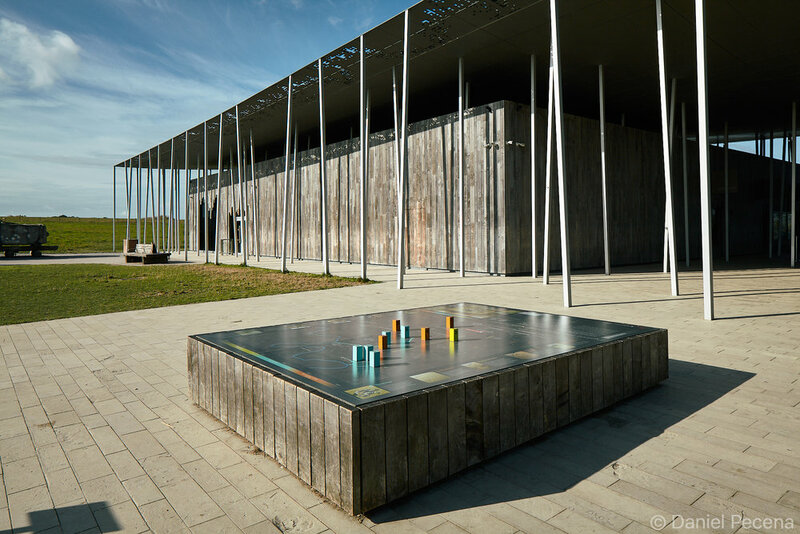 The museum building has won number of architectural prizes and its design connects this landscape to our prehistoric ancestors deeper in time.